Learn how planning for a fall can actually help prevent one. 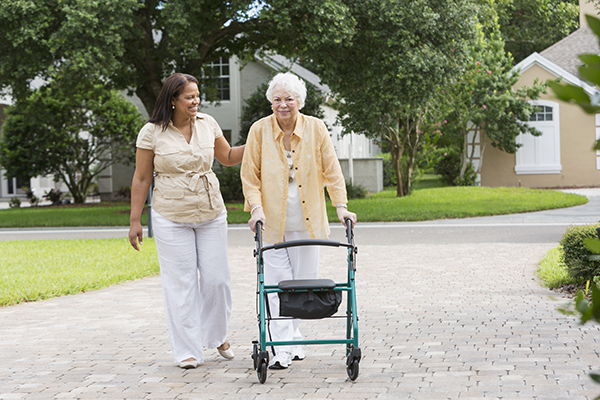 Falls involving the elderly are all too frequent and may have serious consequences. Taking precautionary measures is crucial, such as assessing the home for fall dangers like throw rugs along with other trip and fall hazards, insufficient lighting, and an absence of appropriate grab bars and railings. But there’s an additional approach being suggested now: developing a fall plan of care, which, when executed accurately, has been demonstrated to help reduce fall-related emergency room visits by as much as 40%. Remain alert – Avoid letting your mind wander and instead maintain your full concentration on your surroundings. Check eyesight – Regular eye assessments and constantly wearing glasses if needed can ensure tripping risks are spotted and averted. Practice balance – Exercises as simple as lifting one foot off the ground and remaining balanced on the other foot for as much as 30 seconds can really help. Avoid head injuries by intentionally turning your face away from the fall, or tucking your chin to your chest if falling back. Bend the elbows and knees to stop the stiffness that may result in a break to your wrist or elbow when attempting to catch your fall. Roll through the fall, which distributes the impact of the fall over a larger portion of the body instead of concentrating it on one area. Try to land on fatty tissue, such as on your thighs or bottom, instead of on more bony areas like hips, knees, and elbows. Be sure that all walking areas both outside and inside of the home are unencumbered by clutter and any possible tripping risks, such as extension cords. Keep flooring surfaces, especially in the bathroom and kitchen area, dry and clean. Make sure handrails are positioned and secure along all stairways. Remove and replace any worn out carpets and remove all throw rugs. At Midnight Sun Home Care, our Matanuska-Susitna AK elder in-home care team is experienced in making the home environment as safe and secure from falls as possible, and we are skilled in providing ambulation help and oversight when necessary to help make sure fall risk is decreased. We are also available to engage in doctor-recommended exercise programs to improve stability and flexibility, resulting in overall improved senior health. Give us a call at (907) 677-7890 or contact us online for a complimentary in-home consultation to learn more ways our senior care services can help you and your family! To learn more about the other areas in Alaska that we serve, please visit our Service Area page.